THE CASUAL GRABBING OF what should be mine, if only by first-child blood rights, has gone on long enough. It is time to act. I have borne the pleas of poverty dripped slyly into Mother’s ears by my sister and brother-in-law, borne their tortuous presence until it can be borne no longer. Watch out, dear Gloria, darling Henry: I have cause and there will be consequence. How I will go about it is just the tiniest shoot of an idea at the moment. I will cultivate it diligently, as you might a bonsai, shaping it with attention to detail, encouraging every little leaf. My sister, Gloria, is standing at the Aga stove, wearing that childish apron of hers with the smiling duck on it, a smile she echoes as though full of good intention. She spears me carelessly with her know-it-all air. “I don’t think the doctors have it right,” she says, speed-reading their report. “He won’t be helping with the housework, then,” I say. Gloria gives one of her full-throated laughs. I wish now that I hadn’t told that puffed-up doctor about Pipits, our family home. My family home. He obviously made up bits of this and that and tagged a label on it. How they love labels. Truth is, all I gave him were fragments, small memories from my childhood that he asked about. I told him that Pipits was named in 1760, after the birds that lived in the meadows around the house. There were hundreds of them then, not so many now. I did give him a description of the house, and I think that he fell a bit in love with it himself. It doesn’t surprise me. Who could not delight in Pipits’ beauty, its flowing contours, the spicy scent of logs burning in its fireplaces, and its dark wooden floors that are soft underfoot? I didn’t tell him much of that, but I did confess that to be alone in Pipits is never to be lonely. I shouldn’t have confided that, though. Easy to tell that he was not a free thinker; feelings must be raked over, run to earth, named. Ordinary people like him are blind to the intricate maze of feelings that binds me to Pipits, and it to me. Not wanting to invite his closed-minded opinion, I didn’t speak of the house again after that first time. I chose not to tell him of the day the house spoke to me, the day that saw the commonplace leave my world forever. The memory of it is too precious to be shared with people who play mind games, think they know more of me than I do myself. Twenty-five years may have passed since that moment, but you don’t forget something as seminal in your life as that. I remember the tiniest details of it, everything. The day had begun as Saturdays did in our household, with Mother sleeping in, so that breakfast was served an hour later than on weekdays and leisurely eaten by her and Gloria in their pajamas. I had woken at the usual time and was dressed and in the garden when I saw Mother open her bedroom window. She gave me a little wave but didn’t smile. I think it irritated her that I made my own way, didn’t join in with hers. I knew that she would quiz me later about what I had been up to. I was ten, almost eleven years old. It was a fine morning; the sun had returned after a long absence and was high in a pallid sky. The air was moist and warm, bees had arrived in the garden, and our fields gleamed brown-gold in the sunlight. Mother and Gloria were going into Bath to shop. I didn’t want to join them, to suffer feeling left out in their girlish company. They had an exclusivity about them, a shared silliness that bored me. At first Mother denied my request to be left at home. “What will you do all day by yourself?” she fussed. She thought that it might be against the law to leave a child of my age alone. In the end, though, my stubbornness held firm against her better judgment, and she caved in. I said that I would, knew that I wouldn’t. Mr. Beard was old, and deaf, and could hardly have been of any help to me. All he wanted to do was to sit on our mower, to follow the lines of his last cut, and smoke his disgusting old pipe, which was crusted with spit. Why it happened on that day in particular I am not sure. Perhaps it was because I was alone, relishing the silence. My mother and sister’s intrusion into my life has never been welcome. Their incessant chatter frequently had me running to my secret place by the river to get away from the sound of them and from their sickly displays of affection. Mother knew it, I think; I often caught her looking at me as though I were an impostor, a changeling smuggled under the cover of darkness into her true baby’s cot. I had dozed off in the sitting room while reading, and came to in that dreamy state that often follows sleep. I was aware of the distant sound of the mower cutting the rides through our woods, and saw that the light had changed, so that everything—tables and chairs, vases and lamps—was surrounded by a shimmering halo. At first, I thought it was the spring sun in my eyes causing an illusion, but then other things began to happen; sounds and colors seemed more intense than ever before, the floor appeared to swell under my feet, inducing a touch of vertigo that was not unpleasant. I fancied that I wasn’t alone. And then Pipits’ familiar shape expanded; the room I was sitting in seemed bigger, the ceilings higher. A rush of warmth ran through me, and I suddenly felt lighter, freer, as though by some strange chance I had stumbled into ecstasy. Minutes passed, during which I felt exquisitely alive, and then a high whine, like that of a mosquito, vibrated through the house, vibrated through me. I shut my eyes and attempted to understand this novel, wordless language, one of chants, and rhythms, nature’s voice, quick and exciting as a spark of silver. Slowly some secret, unexplored part of me opened, and then as though I had always known it, I recognized the sweet drumroll of Pipits’ voice calling me. For hours after I was dizzy with the ecstatic feeling of being adored, of being chosen. It was as though lightning had struck and changed the shape of things forever. Straw to gold. Let Mother and Gloria have each other. I had my beautiful house. I was so excited that when Mother returned, I gushed out the news that the house could speak, that it loved me. Her response instilled forever in me the need to hold my secrets close. It draws blood to have your confidences dismissed as nonsense, to be laughed at as though you are a fool. I was angry at Mother and told her that if Pipits had wanted her to know that it could speak, it would have spoken to her, chosen her instead. When I accused her of being the silly one, I was sent to my room to think about my rudeness. I went with my head held high, visiting her bedroom on my way, to blow my nose on her favorite dress. Since that lovely shimmering day, I have never been truly happy away from Pipits. Life, marriage, and work have intruded, stilled that inner voice that tells me I should have stayed, stood guard. I question now whether the half-hearted choices I made in life have been worth anything; marriage is too dull a thing to stir my blood; work interests me, but does not enthrall. Now, when we are not together, I prefer to think of Pipits’ rooms empty without me. The house should be mine alone; instead, there is Gloria and her husband Henry’s life impinging itself. Henry in the shed at his potter’s wheel is bad enough, but Gloria’s dispiriting patients traipsing through the halls are an outrage. It’s a disgrace that Mother allowed her to work from the house. Who knows what kinds of strangers we are letting in? I’ve marked my territory, though, hidden something of myself in every room; a lavender pouch, a lock of my hair, ribbons and childhood toys. They nest behind the furniture and under the floorboards, little favors, gifts of devotion. When I was young, I had a secret hiding place outside, too: an abandoned badger set screened by a thick laurel hedge. Brambles and stinging nettles barred the way to fraidy-cats like my sister. I kept a tin box there with things filched from Gloria and Mother. Gloria cried for hours over her money box shaped like a pig with two pounds fifty in its stomach, while Mother searched for and fretted about her missing silver christening spoon. There was pleasure to be had in the satisfaction of having sway over their moods. Now Gloria finishes stirring something in a pan and moves away from the Aga. She makes a space amid her mess and places the clinic’s report on the kitchen table. I’d like to sweep her mess away, sweep her away, claim what should be mine. Be gone, unloved sister. For the moment, though, I must play the waiting game. She touches her hand elegantly to her temple. She has that helpful look on her face, a combination of optimism and sympathy common to her profession. How do they manage that? She’s trained to be something called a psychodynamic psychotherapist. Such names! She is like those clinic doctors, wanting to label, to tick a box, but because I am her big sister, have always been brighter than her, and know her weaknesses, she can’t. If you ask me, no one is truly like anyone else. People hide their true natures, fearing to expose their shadowy side and be found unlovable. Originality, though, lies in those shadows, the traits that make us who we are, the deep-set ones that people choose not to recognize. Gloria may think otherwise, but I believe that there is a spider in all of us weaving a selfish web; it is simply a question of survival. Ego takes precedence. No matter how my sister and her kind show off their sweetness, their so-called goodness, they are made of more than honey; we are all only half-known. I guess Gloria secretly agrees with the report, that she’s noted enough of the indicators listed there to confirm the diagnosis. It’s a long list, and apart from the “possible objectophile” reference, it includes “intentionally misunderstands things,” “feels put-upon and left out,” “gives compliments with a sting in the tail,” “is secretive”—I could go on. I’m amused that the doctor who wrote all of this down was able to summon such nonsense with what little I gave him to work with. That morning when he turned up with his clipboard, biting on the end of his cheap ballpoint pen, I wasn’t in the mood to engage. Nor did I care to fill his long silences with anything other than polite platitudes. I watched as he scribbled down his thoughts, noted the nervous blinking of his beetle eyes, saw the satisfaction in the stretch of his thin smile. Maybe I showed Gloria the report to distress her, to see her smooth forehead crease in concern. I wish now that I hadn’t. It should have been for my eyes only. Well, if the medics had their way, not even for my eyes, really. I took the report from the drawer my interrogator put it in when he left the room for a moment to mumble something to his office girl. It was careless of him, very unprofessional. It’s as though she’s been reading my mind. I want to slap her, to wipe the sympathetic smile off her beautiful face. Instead, I raise my eyebrows and give a shrug, as though the report doesn’t matter. I never let the hurt show. Well, mostly never. I hid it well enough when they forcibly sectioned me for a week—such a ridiculous thing to do and quite unnecessary. I wasn’t mad, just anxious. Who wouldn’t be, locked up in Ward Eight of Parade House? Why they don’t call it what it is, a mental asylum, just makes you think they are ashamed of the place. Parade House sounds like somewhere Jane Austen might be staying while she takes the waters. I decided while there to take the waters myself, not to let my anger show, to act as though I were a guest at their dreary watering hole. It mostly worked, they didn’t patronize me, but they have a way of pushing you with their questions until something of yourself leaks out. You can’t help but give away little bits of information that they string together to fabricate a story that satisfies their need to diagnose. So, that’s why I am here at Pipits now with Gloria and her husband, Henry, occupying my treasured childhood bedroom, communing with the dear house. Time off work, time off marriage, time to heal under my sister’s caring eye. Gloria thinks that she knows me. She does not. Because she loves the world, loves me, she thinks that I love her. I do not. She thinks that I loved Mother. I did not. She thinks that I love my husband, Bert. I do not. As sisters go, we are a poor match, cobbled together. Gloria doesn’t get it that it is not her I need, but the house. It is only when I am with Pipits that the tightness in my chest relaxes, that I breathe easily. People think me slow to anger. It has been said, under the guise of a compliment, that I am always in control, so being gathered up by do-gooders as I swayed on the edge of Beachy Head that day, then breaking down at the doctor’s, kicking her desk and swearing, was, as far as they were concerned, out of character. It’s true that I have learned how to appear calm when I am angry. But that doesn’t mean I don’t feel things. To have my way, I practice charm, keep my true nature hidden. People find it hard to deal with a person who doesn’t emote in the way they expect. They want you to empathize with their trivial problems. They shy away from superior intellects, so I find it easier to act the part of loving sister, forgiving sister-in-law, accepting friend. I’m a good actress. Don’t ask me why things didn’t hold together that day, why they leached out on that gusty cliff top. A sudden kink in the mind, maybe. I have been suffering episodes like that one lately, times when I’ve needed to give vent to my emotions. If it weren’t for Gloria and Henry squatting at Pipits, changing things, upsetting me, I could have run to its embrace, taken comfort and gathered myself. On that chilly morning a couple of weeks ago, as I stood at the cliff’s edge with the wind pushing at me, my fury rose to a boil, so hot that I could hardly bear it, so extreme that I hardly knew myself. It was not my intention to jump off that cliff; of course I wasn’t going to jump. I wanted merely to hover on the edge, to feel something different than what I suffered every day. A psychiatrist at the clinic, a woman not unlike my sister, suggested that I had been teasing death. She thought it the equivalent to being a “cutter.” It was just a different sort of bloodletting, apparently. “Nothing I can think of,” I said. But I did wonder the same thing myself. There’s been a hold up in the reading of Mother’s will, something to do with tax, and her overseas assets, but I don’t think it was that. The least you could say of Mother was that she was dutiful, and a proper little traditionalist to boot. She always favored Gloria, of course, but in this most important thing, I know she will have done her duty. I am the eldest, and Pipits is mine by right. Mother knows that. I had received a photograph on my phone from Gloria the day before the Beachy Head incident. She wanted me to see the “brilliant space” they had created by knocking down the wall between the kitchen and the sitting room in our family home. Apparently Mother had agreed to it before her death. What a pity she won’t see how well it has worked out, Gloria texted. What had once been our delightful country kitchen, and separately Mother’s cozy dayroom, was now, without my consent, merged into a huge arena-like space. I was heartbroken at the destruction. Gloria’s text, accompanied by the nasty image of gaping hole and rubble, ruined my day. She signed off with her usual smiley face. I find those smiley faces vulgar, like the circles in place of dots that were all the rage in handwriting a few years ago. Minds with little heft find such things amusing. Our wonderful new kitchen. Can’t wait for you to see it. I hate the way Mother allowed Henry and Gloria a free hand to change things at Pipits. Under her weak rule they have demolished walls, painted rooms in the childish, rainbow colors of their natures. They must color and primp and smooth. They like things smooth. Gloria had no right to go ahead with knocking the wall down. Whatever Mother had agreed to in life, it counted for little after her death. When Pipits is mine, I will stop their surgery, see them off. I will let the walls crumble, hear only the echo of my footfall on its floors. I will give up everything: husband, the London life I share with him, the art gallery we jointly own, everything. House and I will shut out the world, grow old together. I remember throwing the phone down when I read that, listening to it thud on the rug, remember the hot rage that leapt in me and the poisonous taste in my mouth. I felt the pain of Pipits’ wounds in my own limbs, a horrible nervy sort of ache. In that moment I could have killed Gloria, with a bit of torture thrown in. I wasn’t going to tell that to the shrink at the clinic, of course. She would have fabricated some half-baked story about Gloria and me. No doubt she would have had me down as the one feeling like the cuckoo in the nest. That’s the easy sort of judgment these people make. It’s not me who is the cuckoo. “No, nothing I can think of,” I repeated to the psychiatrist, squirming at her little mews of encouragement. She had zero to offer me. I imagined her a middle-class housewife, suffering from empty-nest syndrome, with an urge to mother, but no one available in her own household to satisfy the need. I told her what she wanted to hear and watched her puff up with the thought that she had brought about some magical change in me. Gloria’s attempt to soften the fatuous report on my state of mind hasn’t worked. She likes to comfort, to be the one to make things right; white lies are one of her rare sins. Niceness waters her blood; it’s a worthless coin, in my opinion. In order that I won’t feel crazy, she confides to me about her clients. The pitch of her voice lowers, takes on that caring social worker’s drone. She refers to them as client A or B, to protect their identities. Does she imagine I care to know who they are, or that I will ever give them another thought? She powders her descriptions of them with allusions as to what’s broken in them; they are obsessive, or infantilized. My own little episode is nothing in comparison. Back in charge of myself, I smile at her as though she is being helpful. She rushes over and hugs me. Oh, the power of a smile. After the anger on the cliff that day, when the lava in my blood had cooled, something had moved in me, created a fissure capable of spillage. I sensed it at my core, a sort of loose stitching. It’s an unpleasant feeling to have been caught out of control, no matter that the episode had lasted for barely an afternoon. As far back as my memory goes, I have felt the unfairness of being in Gloria’s shadow. She has supped the juice out of each and every one of my successes. Neither marriage nor financial success has helped. Mother once said I should have married for love, but as I hadn’t, I couldn’t really expect to feel like someone in love. Easy for her to say; her brief marriage was the romantic legend that our family promoted. Romeo and Juliet, complete with the tragedy. There’s nothing to prove the great love now, though, so I haven’t swallowed the story whole. People like legends better than the truth, anyway. They indulge the idea of everlasting love, the fairy-tale made flesh and blood. Who is to say that if my father had lived, my parents’ union, like so many others, wouldn’t have slid into the mundane? I hear Henry’s step on the path outside the kitchen door, and the familiar twinge returns, as though I have scraped the surface of old scar tissue and must now press down hard to stop it bleeding. It is taxing for me to even look at him, especially now as he enters the room with the light behind him, his body a silhouette of lean strength. “Oh good, biscuits,” he says, scooping up a handful of Oreos. Henry’s voice, the familiar ring of it, stirs an ache. “Careful, you’ll get fat,” I say, meanly. “More to love eh, Glory?” he says, encircling Gloria’s waist as she pours him a coffee. I feel disgust at their display of affection. It’s so childish. Look at us. I know that others find it charming, even sweet. But not me. Never me. Seeing them together reminds me that I am not one of the Beloveds. You know those people with a star above their heads: loved and admired, lucky in love, lucky in everything. Beloveds are the planet’s dirty secret, the secret that keeps the hopeful battling on, swallowing whole that hoary old chestnut that hard work and perseverance bring success. Hope is luck’s cunning agent; it sugars the medicine, masks its true flavor. Henry, in a hurry, gulps down his coffee and blows Gloria a kiss. I try not to look at his hands: such strong hands, the nails, despite his work, always clean. The drawing qualities of the clay, perhaps. Henry was a teacher at the Slade art college when I first met him, but he always wanted to be a potter. He jumped at the chance when Mother offered him the shed to install a wheel and kiln. When it comes to taking over things he has no right to, Henry is as bad as Gloria. I watch him leave, duck his head as he goes through the door on his way to the shed that he now refers to as the pottery. Henry Bygone, the man who had once thrilled me, whose net I had confidently swum into, happy to be his catch. Foolish fish. I should have been wary, known that I might get eaten up. Henry was the only person I have ever met who I thought Pipits would accept as it had me. Once we were sure of each other, I would teach him to listen to its voice, to live there with House and me and be part of its magic. I put my trust in Henry, until he chose to break it on that sunlit weekend when I took him home to meet the family. I wanted to show him off, wanted Mother to see me as the chosen one for once. Before I knew it, though, I had been relegated to the audience in what became the Henry and Gloria show. In that first brief glance between them, I became the other, watching them play out their attraction as we played croquet. I took pleasure in beating them at the game that day, but Gloria won out in the end. Graceful in her flowery dress, serenely beautiful, she cast her spell. And they say there is no such thing as magic. Henry, his shyness dismissed, openly flirting with her, surrendered himself. I watched him slide away from me without a backward glance. My sister was apologetic in a helpless sort of way. “It just overtook us,” she said. “You didn’t want him for keeps, did you? We haven’t hurt you, have we?” Her words left bite marks on my heart. Henry says now that we never really dated in the true sense of the word, that from our first meeting we were destined instead to be really good friends. “And good friends we are, aren’t we?” he says with slithering eyes. I guess that makes him feel better about dumping me. He forgets the way we spied each other across the room at my friend Alice’s party all those years ago, the way right from the first it was as if we had always known each other. It came to me then that there must be something in Gloria’s kind of beauty that has the clout to wipe men’s memories, to make them rush toward it, not caring who gets trampled under their big feet. I was late getting to Alice’s party that night. I didn’t have high hopes for it, but there he was, standing a golden head above the rest, empty glass in hand. The moment I saw him I knew he was my chance to put Gloria in her place. I knew it in the way that all of us do, sometimes, when the future beckons. On handsome Henry Bygone’s arm, no one would pity me, the less beautiful, less popular sister. I would be the envied one. Henry seemed out of place in the small crowded room, a man made for open spaces, big horizons. It was obvious that he was shy, so I made the first approach. I sensed he was relieved that I had done so. He gave me a hapless smile and ran his hands through the mop of his hair. Henry’s shyness made him a bit panicky about relationships, so I knew it would have to be me who made the first move. I sensed him to be the sort of man who likes to take his time, so I didn’t push too hard. At my invitation, an exhibition at the Tate, followed by his one to dinner, to thank me for mine, as he put it. Although, apart from a peck on the cheek, we had not yet kissed, Henry was beginning to thaw. That is, until Gloria carelessly snared him, and he went into free fall. My once best friend Alice is Gloria’s now, too. They imagine that I’m happy about that: the three of us as one, not to mention Gloria’s making off with Henry. It was mean of Gloria, shallow of Alice, who despite that we were friends first has been serving in Gloria’s court for years. Damn them all for it. I first met Alice at the Sunday school that Mother insisted we girls attend. She was a year or so younger than me, babyish, not very popular. I tolerated her following me around, taking on my style, even mimicking the way I spoke. It was a flattery I didn’t let go to my head. How could I feel flattered by plain, rabbit-toothed, easily led Alice? There were times when she had her uses, though, when she was a convenient scapegoat: an excuse for being late, or for not including Gloria in our play, or for swimming in the river when I had been explicitly told not to. When Alice was fourteen, her mother was run down by a tourist coach outside Saint Dubricius, our ancient village church, where she had been arranging the flowers for a local pensioner’s funeral. The gossip was that she had been flattened, roller-pinned thin as pastry by the heavy vehicle. I remember thinking that someone else would need to arrange the flowers for Alice’s mother’s funeral now. In his grief, Alice’s father hardly remembered that he had a daughter. She was left to her own devices and latched on to our family with a determination that surprised me. Her grip was firm. She joined us for meals, for the hour of television we were allowed each day, hanging around Mother, her pale eyes begging affection. It was more than annoying. Despite my being the elder sister, she ran to Gloria for comfort when I told her I had thought her mother a bit of a whiner, that she would do well enough without her. Gloria, the banner carrier for kindness, and ever the little mother, went to war on Alice’s behalf. She was angry with me at the time, a rare and most enjoyable thing. “You were cruel to say it,” she said. “Oh, who cares, Miss Goody Two–shoes,” I dismissed her. Ever since that day, Alice has taken shelter under Gloria’s wing. She is as eager as a puppy to be included in Mr. and Mrs. Bygone’s starry life. She will drive Gloria to the station, shop for her, house-sit when asked. As if Pipits needed house-sitting, needed someone like Alice in charge. These days I live a couple of hours away from Cold-Upton, in London, and it’s convenient for Gloria to have Alice to call on. But I never stay away from my true home for long. I am a child of my enchanting village, and I know every lane, every tree, every shortcut to everywhere in it. I know where the snow bones lie in the fields in winter, I am familiar with every hedge and soft-stone wall. When I think of Pipits, I think of Cold-Upton, bound to it with the tightest of knots. Cold-Upton means more to me than to either my sister or my faithless former friend. How dare they make me feel like an interloper. Alice is our local librarian. She drives the mobile library van around the villages like ours that circle Bath, dispensing books and advice. People think her kind, and no doubt she is, but she’s a busybody, too, and a bit of a gossip; she seems to know everything about everybody. She calls it being involved with the community. Being plain, she has always attracted the sort of men who are looking for an easy lay, men with no intention of making a commitment. She is overeager, greedy for affection, too quick to let them bed her. I long ago stopped listening to her sob stories. “Why do they never stay?” she would weep. These days, though, she doesn’t expect them to stay. She is not, nor will she ever be forgiven for abandoning me, for so easily changing sides. The same goes for Henry. What is to be said for the pair of them other than that they are both fickle, vain people, who have cynically attached themselves to a Beloved. Well, they will pay for it. When the time comes, I will cut deep, straight through the soft tissue, and into the bone. Gloria isn’t showing yet, but she likes to huff and puff just to remind you of her fertility. It’s obvious she is going to be one of those women who enjoy pregnancy. I wonder. Does Alice love me? I think it’s more that I come with the package that is Gloria and Henry. And of course, however Gloria thinks of her, she isn’t family. There’s not a drop of Stash blood in her. “Sometimes, Betty,” Gloria simpers, and I know what is coming, “you remind me of Mother. So self-sufficient, so independent.” I take it as the put-down she so clearly intends. Gloria can be snarky at times. I wish she wouldn’t compare me to Mother. My character is nothing like hers. Gloria understood Mother about as much as she understands me, which is to say hardly at all. The only thing I truly shared with Mother was my love of Pipits. Her love for it, though, was a shallow thing compared to mine. The mention of Mother has stirred me up somewhat. Gloria says the pain of our loss is halved because we share it. I cannot agree. Her tears have been copious, mine not so. I am happy to allow her the grief. She makes the most of it, after all. “Maybe just something light, then, a salad?” she persists. She runs her hand through her thick hair with its perfect wave. Now that she is in her thirties, Gloria has reached her luscious peak. Her eyes, her best feature, are pools of the loveliest green, her skin tans evenly to honey. Her mouth is a little too big, her nose, too, but taken as a whole she is what they call a stunner. Everyone says she takes after our father, and the photographs we have of him lend truth to that. He was certainly striking. Since his unreliable heart gave out when I was six and Gloria three, he remains, through legend and photographs, the model of young manhood. I guess I saw a look of him in Henry. Perhaps Gloria did, too. They say girls marry their fathers, don’t they? I am flooded with warmth, with pride. I spy a photograph of Mother on the bookshelves, a gaudy shot of a full-breasted young woman wearing a kaftan and smiling toward the camera. I have her nose, her straight dark hair. It doesn’t please me to look like her. “You better have done the right thing,” I say to her image. In my room, I lie on my bed and think of Mother. I hadn’t seen her in the months before her death. Work, and the thought of Henry and Gloria snuggled up so happily in my family home, kept me away. So I wasn’t there when it happened, even though it was a weekend and I had thought of visiting. Gloria was there, of course. The Beloveds are always in the right place; their timing is impeccable. This readers group guide for The Beloveds includes an introduction, discussion questions, and ideas for enhancing your book club. The suggested questions are intended to help your reading group find new and interesting angles and topics for your discussion. We hope that these ideas will enrich your conversation and increase your enjoyment of the book. 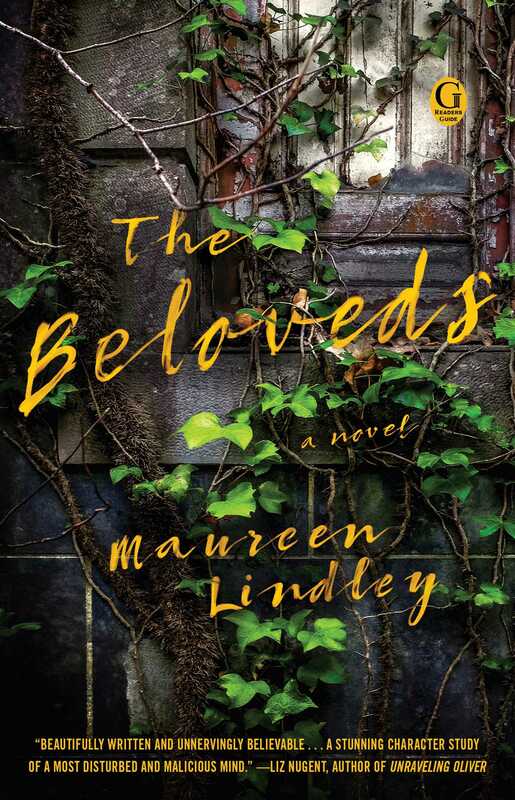 As sinister as Daphne du Maurier’s classic Rebecca, The Beloveds plumbs the depths of sibling rivalry with wit and menace. Betty Stash is not a Beloved—but her little sister, the delightful Gloria, is. She’s the one with the golden curls and sunny smile, the one whose best friend used to be Betty’s, the one whose husband should have been Betty’s. And then, to everyone’s surprise, Gloria inherits the family estate—a vast, gorgeous pile of ancient stone, imposing timbers, and lush gardens—that was never meant to be hers. For Betty, this is the final indignity. As she single-mindedly pursues her plan to see the estate returned to her in all its glory, her determined and increasingly unhinged behavior escalates to the point of no return. The Beloveds will have you wondering if there’s a length to which an envious sister won’t go. 1. How are Betty and Gloria different? What does their behavior tell us about the two sisters? 2. Describe Betty’s connection with Pipits. What draws her to the family home? 3. “No matter how my sister and her kind show off their sweetness, their so-called goodness, they are made of more than honey; we are all only half-known” (p. 13). Would you agree with this statement? Is being “half-known” a good or bad thing? What parts of people are often shared? What do people usually keep to themselves? 4. Discuss Betty’s earlier relationship with Henry. Why did she like him in the first place? Why did Betty believe Henry had feelings for her, and therefore had betrayed her? 5. Betty seems to view the world in terms of “me vs. them.” Who are Betty’s enemies and why? 6. Shortly after the reading of Mother’s will, what does Betty discover about her husband's relationship and how does she react? Were you surprised? 7. Why does Betty smash the bowl of pudding and poisonous berries? What does this change indicate in Betty’s character? 8. How does she feel about Alice’s death? How does her former best friend’s absence influence the atmosphere at Pipits? 9. Revisit Betty’s reaction when Henry starts packing away Mother’s old possessions. Why does she disagree with her brother-in-law? 10. Betty says Helen is “nothing but a common thief” (p. 107). Why does Betty describe Helen this way? How would you describe their conversation? What incites the attack? 11. “All people really want is for someone to stand by their side so that they are not alone. The thought of being alone terrifies them” (p. 118). Do you agree with Betty’s thinking? When she denies this statement applies to her, how did you react? Do you believe her? 12. In the letter that Betty’s father wrote to her mother, he says, “We rarely regret the things we do. Only the things we do not. Marry me, and we will see the world together” (p. 132). How do his words affect Betty? What happens to her original plan? 13. What sparks her final plan to burn down Pipits while also sacrificing herself? 14. Betty takes on the identity of a Mayfair Lady. When under disguise, how does everyone see her? How does Betty view herself? How does this differ from her normal self? 15. Describe how Betty’s relationship with Gloria, Henry, Fi, and Noah has changed throughout the novel. What’s her state of mind as she leaves the new grounds? 1. Compare how the sisters treat the house throughout the book. What do their actions toward Pipits say about each character’s psychology and beliefs? 2. The conversation between Betty and Gloria on p. 228 alludes to Charlotte Perkins Gilman’s The Yellow Wallpaper. What other parts of the novel remind you of this influential story? 3. “And then, faint, as though it is whispering from the top of the soaring staircase, I hear it speak” (p. 311). Imagine how the story might continue after the novel’s last lines. What happens to Betty? 4. If you were in Betty’s shoes, how would you have reacted to losing your best friend, lover, and home to your younger sister? How do you think Betty’s life would have unfolded if there were no Gloria or any Beloved? Now imagine your reaction as a Beloved. 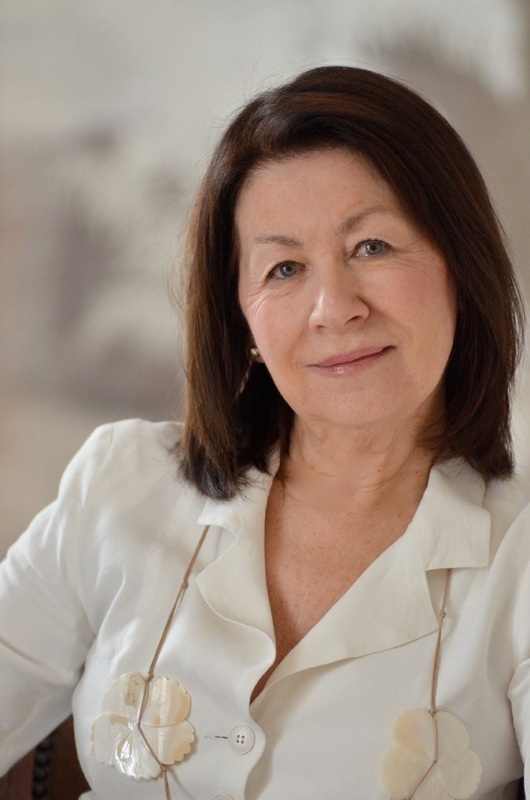 Maureen Lindley, born in Berkshire and raised in Scotland and England, was trained as a psychotherapist. She is the author of two previous novels, The Private Papers of Eastern Jewel and A Girl Like You. She lives in the Wye Valley on the border between southern England and Wales. Visit her at MaureenLindley.com. "[A] disturbing, darkly funny portrait of barely contained madness ... Lindley keeps the tension humming all the way to a deliciously satisfying finale. The droll voice of the outrageous, tenacious Betty will entrance readers who may find themselves rooting for her as she feverishly schemes to take down anyone in her way." "It becomes clear that [Betty] is an unreliable narrator, seeing the world through a distorted lens that turns everyone, however nice, into an enemy, with increasingly dire consequence. Some of her actions seem gratuitous, but the reader will press on to see what she gets up to."